To view our video coverage visit our website. All of the events we have streamed are archived at www.greenupbeacon.com. Follow us on Twitter @greenupbeacon for daily programming updates. At 1 p.m. will be Greenup County PVA Bobby Hall. At 2 p.m. Chris Perry of Carter Caves State Park. The Russell High Science Olympiad team finished in 2nd place overall at the KSO State Finals, held at the University of Kentucky. Russell fielded two teams, with the A-team finishing Runner-Up and the B-team finishing in 11th place. Community Hospice was recently recognized for its exemplary patient quality and satisfaction. The prestigious Hospice Honors award was presented by HEALTHCAREfirst’s Deyta Analytics, and recognizes hospices providing the highest level of quality as measured from the caregiver’s point of view. Award recipients were identified by evaluating hospices’ performance on a set of 24 quality indicator measures. Individual hospice performance scores were aggregated from all surveys and were compared on a question-by-question basis to a national performance score calculated from all partnering hospices contained in Deyta Analytics’ Hospice CAHPS (Consumer Assessment of Healthcare Providers and Systems) database. This is the fourth time Community Hospice has been recognized as a Hospice Honors organization having previously achieved this recognition in 2013, 2016 and 2017. Community Hospice is a not-for-profit organization providing quality end-of-life care since 1979. Community Hospice serves more than 1,300 patients annually in Boyd, Greenup, Carter, Lawrence, Elliott, Johnson and Martin counties in Kentucky, along with Lawrence and Scioto counties, Ohio. The Greenup County Genealogy & Historical Society will be holding its next meeting on Thursday, April 25, at 7 p.m. in the Community Room at the Greenup Library. This month they will be watching "What's New on Ancestry". All meetings are open to the public. The Ladies Fellowship of the Westwood Christian Church located at 424 Wheatley Rd.-Westwood, will hold its Spring Vendor’s Fair on Saturday, April 27, 2019 from 10:00 A.M. to 4:00 P.M. in the Family Life Center. Some of the Vendor’s are: Mary K, Crossroads, Premier Design, Scentsy, Pam’s Primitives, Perfectly Posh, 31, Avon, Plunder, Crafts, Color Street, Paparazzi, LuLa Roe, and Bath Fitters. There will be homemade Baked Goods Sale along with Hot Dogs, chips and drinks. Come out and join the ladies and vendors for some great shopping, food and fellowship. On Friday, May 10, 2019, 300 participants will join together at the annual Relay for Life of Boyd/Greenup County at the Flatwoods Community Park to help the American Cancer Society attack cancer from every angle. The event starts at 6 p.m. The American Cancer Society is the cause fighting cancer on every front; standing shoulder to shoulder with cancer patients and those supporting them. Funds raised help the American Cancer Society attack cancer in dozens of ways, each of them critical to achieving a world without cancer – from developing breakthrough therapies to building supportive communities, from providing empowering resources to deploying activists to raise awareness. 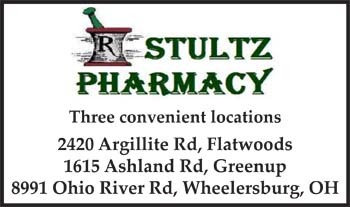 In addition to the support of the community, Relay for Life of Boyd/Greenup County is also supported by many local businesses and organizations. This year’s sponsors include: Kentucky Farmers Bank, Marathon Petroleum Co, Kingsbrook Lifecare Center, King’s Daughters Medical Center, Our Lady of Bellefonte Hospital, Ashland Board of Realtors, Advantage Plus Realty, and City of Flatwoods. Together, we can beat our biggest rival. Join or donate to the Relay for Life of Boyd/Greenup County. Visit RelayForLife.org or www.relayforlife.org/boydgreenupKY . Staff and students at Morehead State Public Radio (MSPR), WMKY earned 11 Kentucky Associated Press (AP) Awards during a ceremony held April 13. News Director Leeann Akers took home six professional awards, including three first-place awards. They were for best short light news story, best short public affairs story and best long newscast. Akers took home second place honors for best sports reporting, best sports feature and best use of sound, an award she shared with MSU Instructor of Journalism John Flavell. She also shared her long newscast award with Logan Pemberton, a senior convergent media major from Paintsville. Students also took home awards from the AP, winning two first-place recognitions: Chas Jenkins, a junior convergent media major from Morehead, won first place for best feature; and Jacob Lindberg, a senior convergent media major from Morehead, won first place along with Pemberton and Peyton Stewart, a sophomore music industry major from Richmond, for best newscast. Pemberton also won second place in that category. Other second place winners were Juliana Leach, a junior convergent media major from Flemingsburg, for best feature; Tildon Johnson, a 2018 graduate in convergent media form Morehead, for best sports coverage and Lindberg for best news story. “Morehead State University is the only college in the state that has student workers that graduate with hands-on experience in a professional environment. MSPR invites students to begin training as soon as they enroll at Morehead State University,” Akers said. MSPR General Manager Paul Hitchcock said the success of students is at the core of the station’s mission. To learn more about Morehead State Public Radio WMKY, visit www.wmky.org, email General Manager Paul Hitchcock at p.hitchc@moreheadstate.edu or call 606-783-2001. For information on communication and media programs at MSU, visit www.moreheadstate.edu/cml, email cml@moreheadstate.edu or call 606-783-2134. Whether you’re a settler trying to establish a colony on the island of Catan, or you want to create your own hero and go on an arduous role-playing quest, there will be something for all skill and age levels at Ashland Community and Technical College’s Tabletop Game Day. The event will be from 1-4 p.m. on Saturday, April 27 in the library at the College Drive Campus. Doors will open at 12:30 p.m. Volunteers have been recruited to run a wide selection of games, from role playing games like Dungeons and Dragons, for beginners or experienced players, to card games like Munchkin, Exploding Kittens and Sushi Go, to tile placement games like Azul, Lanterns and Tsuor, and many more. Advanced registration is required for D&D and registration is suggested for the other games, which will be played based on a schedule and start on the hour. Gamers can also paint mini figures, which were donated to the library. Paint will be provided. Visit https://libguides.ashland.kctcs.edu/tabletop for schedule, complete games list and registration. For more information, contact Klinepeter at pamela.klinepeter@kctcs.edu. The Greenup County Master Gardeners will host a Potting Party and Plant Swap on Friday, May 3 from 6:30PM-8:00PM at the Greenup County Extension Office. Admission is FREE! There will be a plant swap table—Bring a plant—Take a plant. You can also make a hanging basket for a $20 fee. Registration is required for the Hanging Basket class. Friday, April 26 is the deadline for registering and pre-paying for the Hanging Basket class. Call or stop by the Extension Office to register for the class. Refreshments will be provided. Bring your own gardening gloves for the class. 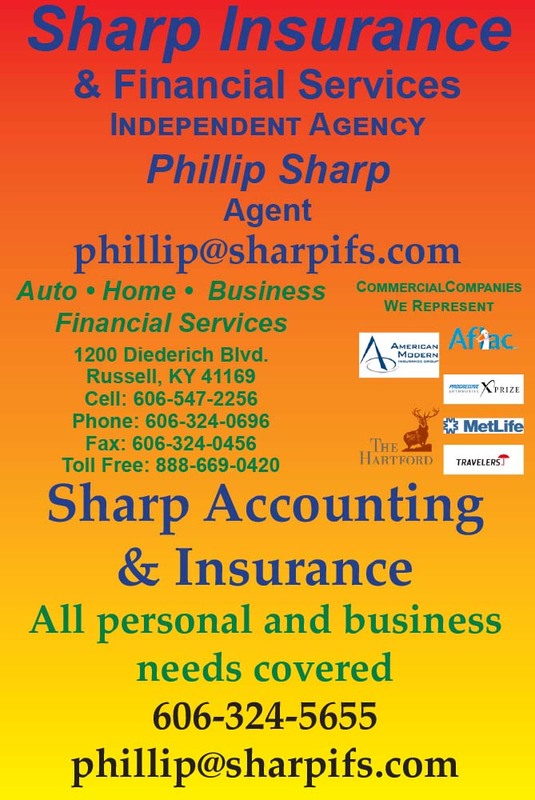 If you have any questions, please give us a call at (606) 836-0201. It’s time to apply for summer classes at Ashland Community and Technical College. ACTC offers three choices for summer classes: a full summer term from May 20 to July 28, Summer Session I from May 20 to June 23, and Summer Session II from June 24 to July 28. May 6 is the application deadline for both Summer I and the Full Summer term, and June 10 is the application deadline for Summer II. Admission forms and class schedules are on the web at ashland.kctcs.edu. For more information, call the Admissions Office at 606-326-2000. Course offered on the College Drive Campus are: Human anatomy and physiology I, medical microbiology, general college chemistry I with lab, digital literacy, English workshop, writing I, contemporary college math, college algebra and mathematics workshop. Online courses are: Financial accounting, medical terminology, cultural diversity in the modern world, intro to art, intro to business, intro to biology, microbes and society, intro to computers, intro to interpersonal communication, contemporary economic issues, writing I, writing II, earth’s physical environment, history of the U.S. through 1865, history of the U.S. since 1865, Native American history pre-1865, intro to the humanities, college algebra, applied mathematics, office management, ethics, American government, general psychology, developmental psychology, intro to sociology, intro to social services and workplace principles. Course offered on the College Drive Campus are: Technical algebra and trigonometry, general psychology and intro to sociology. Online courses are: Frontiers of astronomy, human anatomy and physiology I, regional geography of the world, business mathematics, trigonometry, calculus I, intro to music, applied physics and statistics. Courses at the Technology Drive Campus: Welding students may take cutting processes with lab, shielded metal arc welding with a choice of fillet, open groove and pipe labs; gas tungsten arc welding pipe fitting lab, gas metal arc welding with lab, blueprint reading with lab, and a pipe fitting and template development lab. Course offered on the College Drive Campus are: Human anatomy and physiology II and general college chemistry II with lab. Online course are: Managerial accounting, intro to cultural anthropology, intro to art, personal finance, principles of marketing, intro to biology, intro to computers, intro to interpersonal communication, principles of macroeconomics, writing I, writing II, lands and people of the non-Western world, history of the U.S. through 1865, history of the U.S. since 1865, Native American history 1865-present, intro to the humanities, medical office software, general psychology, developmental psychology, modern social problems and development of social welfare. Our Lady of Bellefonte Hospital (OLBH) has been honored with the 2019 Partner for Change Award from Practice Greenhealth, the nation’s leading organization dedicated to environmental sustainability in health care. OLBH earned the honor for superior stewardship while reducing the system’s environmental impact. The Partner for Change Award recognizes health care facilities that continuously improve and expand upon programs to eliminate mercury, reduce and recycle waste, source products sustainability and more. Winning facilities must demonstrate that they are recycling at least 15 percent of their total waste, have reduced regulated medical waste, are on track to eliminate mercury, and have developed successful sustainability programs in many areas. The award will be presented to OLBH representatives at the Practice Greenhealth Environmental Excellence Awards Gala next month in Nashville at the conclusion of the CleanMed Conference & Exhibition. For more information on Practice Greenhealth, visit practicegreenhealth.org. For more information concerning OLBH visit BonSecours.com or call the OLBH CareLine at (606) 833-CARE (2273). April is Financial Literacy Month, and Kentucky students can make use of financial literacy resources from the Kentucky Higher Education Assistance Authority (KHEAA). KHEAA’s “It’s Money, Baby” booklet helps students learn the basics of banking, credit cards, interest and protecting themselves from fraud. Free copies are available by emailing publications@kheaa.com. Please remember to include a mailing address. The agency’s regional outreach counselors can also present “It’s Money, Baby” programs for schools and for other groups. KHEAA has 13 counselors across the state. To find the counselor for your county, visit www.kheaa.com and click on the KHEAA Outreach Services link under the Counselors tab. Games and links to sites that teach students about finances can be found under the Money Management tab on www.kheaa.com. KHEAA is the state agency that administers KEES, need-based grants and other programs to help students pay their higher education expenses. For more information about Kentucky scholarships and grants, visit www.kheaa.com; write KHEAA, P.O. Box 798, Frankfort, KY 40602; or call 800-928-8926, ext. 6-7214. The Boyd and Greenup Counties Branch of the NAACP and Ashland Community and Technical College recognized 19 students at the 26th annual African American Senior Salute on April 11. Seniors from Ashland Paul G. Blazer, Boyd County, Fairview, Greenup County, Lawrence County and Russell high schools were honored for their academic achievement as well as given resources about continuing their education. ACTC, Marshall University, Morehead State University, Mountwest Community and Technical College, Shawnee State University and Ohio University Southern participated in a college fair where students could apply for admission or get general information about the schools. The U.S. Army, Air Force and Marine Corps were also participated. Keynote speaker was Uriah Tolbert, principal of Crabbe Elementary School. Lunch was provided by Mary’s Kitchen. Boyd County: Cadell Hein, Desirae Middleton and Austin Reeves. Fairview: Johnathan Elswick and Noah King. Greenup County: Nicolaus “Seth” Ailster. Paul G. Blazer: Amaya Brewer, Christine Clarke, Blessing Eleazu, Janay Farrow Beatty, Orion Hall, Joel Mark, Jonathan Newman, Madison Potter, James Robinson and Kimberly Williams. Russell: Alexander (Trey) Rankin, Zaccheaus (Z) Snyder and Jocelyn Martin. Ashland Community and Technical College is offering child care provider trainings at its Roberts Drive Campus. The cost is $15 per person per class. The fee must be paid at time of registration. Each three-hour class is taught by an ECE TRIS certified instructor and will be submitted to ECE TRIS for Child Care Provider Training hours. To register, call 606-326-2072. Creating a learning environment that is age appropriate for toddlers can be challenging. Knowing which strategies to apply to ensure that they support the social emotional development of toddlers can also become a learning challenge for adults. This session is created to present a sampling of those strategies by making activities to support the target strategy. The primary strategies presented in this session include designing appropriate material to promote learning through the five senses, improving routines, and developing small group activities. This session is designed for infant/toddler staff and preschool staff. Partnership with Families (9 a.m.-12 p.m., June 1): Begin a journey towards knowledge of how to build positive relationships with the family unit. Trust is one of the key points to building a positive relationship between families and early childhood professionals. Learn how children flourish when the adults caring for them work well together. Learn how to build relationships with families to gain knowledge of the child's strengths, their personality, their behavior and their needs. This class is designed for all child care staff, directors/administrators, infant/toddler, school age staff and preschool staff. Bringing the Book to Life (9 a.m.-12 p.m., Aug. 17): This workshop is designed to enhance knowledge about the world of literacy and how children's books can create a new path of hands-on learning. This can be achieved by incorporating the storyline and characters into the learning materials fostering the child's imagination. This workshop will provide early childhood educators with activities and resources related to a variety of books used in early childhood learning environments. Science Activities for Learning (9 a.m.-12 p.m., Oct. 19): This session will address the need for incorporating science into the childcare environment. Our world is based on science and technology. It is our challenge as professionals to give children a firm foundation in this area right from the start. The hands-on workshop integrates activities for a variety of ages and introduces science experiments. This class is designed for infant/toddler staff, preschool staff and school age staff. Managing Infectious Disease (9 a.m.-12 p.m., Nov. 9): Shannon Landsaw will present this class, which is designed for all staff and discuses common infectious diseases and how to limit the spread of those diseases in the child care setting. Kentucky eighth-graders headed for high school in the fall might find “High School Basics,” a four-page flyer, helpful. The free flyer can be ordered from the Kentucky Higher Education Assistance Authority (KHEAA). • Credits and graduation requirements. • Reading a high school transcript. • The Kentucky Educational Excellence Scholarship (KEES). • Earning college credit while in high school. Free copies are available by emailing publications@kheaa.com. Please remember to include a mailing address. An online version is available on www.kheaa.com. Come join the Greenup County Extension Office for the First Spring Market & Craft Fair on Saturday, May 11, 9 a.m. – 2 p.m. at the Greenup County Extension Office. Local artists & crafters will be set up to sell crafts, homemade items and much more. Admission is FREE! So please come support our local vendors and purchase some hand-crafted gifts! Kentucky’s seasonally adjusted preliminary March 2019 unemployment rate was 4 percent, according to the Kentucky Center for Statistics (KYSTATS), an agency within the Kentucky Education and Workforce Development Cabinet. The unemployment rate for March 2019 was down from the 4.1 percent reported for February 2019. The preliminary March 2019 jobless rate was down 0.3 percentage points from the 4.3 percent recorded for the state in March 2018. The U.S. seasonally adjusted jobless rate for March 2019 was 3.8 percent, unchanged from its February 2019 level, according to the U.S. Department of Labor. Labor force statistics, including the unemployment rate, are based on estimates from the Current Population Survey of households. The survey is designed to measure trends in the number of people working. It includes jobs in agriculture and individuals who are self-employed. Kentucky civilian labor force increased by 1,460 individuals in March 2019, bringing the state’s labor force to 2,064,737. The number of people employed in March was up by 2,381, while the number unemployed decreased by 921. In a separate federal survey of business establishments that excludes jobs in agriculture and people who are self-employed, Kentucky’s seasonally adjusted nonfarm employment decreased by 1,300 jobs in March 2019 compared to February 2019. Kentucky has added 17,400 jobs since March 2018, a 0.9 percent employment growth. Nonfarm data is provided by the Bureau of Labor Statistics’ Current Employment Statistics program. According to this survey, six of Kentucky’s 11 major nonfarm North American Industry Classification System (NAICS) job sectors saw employment increases from the previous month while four declined and one was unchanged. Employment in the Kentucky’s educational and health services sector added 1,600 jobs in March 2019, a gain of 0.6 percent. Employment was up by 1,700 positions in the health care and social assistance subsector and down 100 positions in the educational services subsector. Since last March, the sector has jumped by 9,600 positions or 3.5 percent. Employment increased by 600 jobs in the other services sector from February 2019 to March 2019. The other services sector includes repairs and maintenance, personal care services and religious organizations. Employment in this sector is up by 900 positions since March 2018. The financial activities sector grew by 500 jobs from February 2019 to March 2019. This sector rose by 1,700 jobs or 1.8 percent compared to last March. The real estate, rental and leasing subsector added 400 positions, while the finance and insurance subsector expanded by 100 jobs. Kentucky’s manufacturing sector gained 200 jobs or 0.1 percent from February 2019 to March 2019. Durable goods manufacturing added 600 jobs and non-durable manufacturing lost 400 jobs. Kentucky’s manufacturing employment is up by 2,600 jobs since March 2018. Employment in Kentucky’s mining and logging sector increased by 200 jobs in March and is up by 700 positions from a year ago for a gain of 7.3 percent. The government sector recorded 100 more jobs in March 2019 than in February 2019. The increase occurred in the state government sector, which added 100 positions. Federal and local government employment were unchanged in March. Total government employment has decreased by 1,600 jobs since March 2018. The trade, transportation and utilities sector contracted by 2,300 jobs in March 2019. Since March 2018, employment in this sector has expanded by 1,700 positions or 0.4 percent. All three subsectors showed lower levels of employment in March 2019. Employment decreased by 200 jobs in wholesale trade; 500 jobs in retail trade; and 1,600 jobs in transportation, warehousing and utilities. Construction employment declined by 1,200 jobs in March or 1.5 percent. The construction sector is up 1,900 jobs during the past 12 months for a gain of 2.4 percent. Professional and business services sector lost 500 jobs in March 2019 or 0.2 percent. This sector is down 1,600 jobs since March 2018. Most of the decline was in the administrative and support and waste management subsector which decreased by 400 positions in March. Kentucky’s leisure and hospitality sector fell by 500 jobs from February 2019 to March 2019, a decrease of 0.3 percent. This sector is up 1,400 positions since March 2018. The accommodations and food services subsector added 700 jobs, and the arts, entertainment and recreation subsector lost 1,200 positions in March. Employment in information services was unchanged in March 2019. Employment in this sector is up 100 jobs since March 2018. The industries in this sector include traditional publishing as well as software publishing; motion pictures and broadcasting; and telecommunications. Civilian labor force statistics include nonmilitary workers and unemployed Kentuckians who are actively seeking work. They do not include unemployed Kentuckians who have not looked for employment within the past four weeks. Kentucky’s statewide unemployment rate and employment levels are seasonally adjusted. Employment statistics undergo sharp fluctuations due to seasonal events, such as weather changes, harvests, holidays and school openings and closings. Seasonal adjustments eliminate these influences and make it easier to observe statistical trends. However, because of the small sample size, county unemployment rates are not seasonally adjusted. Learn more about Kentucky labor market information at http://kystats.ky.gov/KYLMI. Gov. Matt Bevin has received notification that President Donald Trump has authorized assistance for certain Kentucky counties that suffered significant damage as a result of the severe flooding event commencing on February 6, 2019, and continuing through March 10, 2019. "We are grateful to President Trump for issuing an official disaster declaration to assist Kentucky counties impacted by widespread severe weather and flooding earlier this year," said Gov. Bevin. "This federal assistance will provide nearly one half of our counties with important resources as they continue recovery efforts." The President's action grants public assistance to impacted counties to repair roads, bridges and other infrastructure. The declaration will also provide the Commonwealth with mitigation funding. This system produced extended episodes of strong winds, torrential rain which caused flooding, flash flooding, landslides and mudslides. The majority of damages were to highways, bridges and local and electrical infrastructure. “We are truly grateful to all the emergency and first responders and law enforcement who assisted during this event," said Michael Dossett, director of Kentucky Emergency Management. "The team effort between our local, state and federal partners was key in receiving federal assistance for Kentucky. We can now begin the important process of moving recovery assistance into the declared areas." This weather makes the striped bass in Lake Cumberland hungry. Bardroff said they also caught some smallmouth and spotted bass, known as Kentucky bass along with the striped bass. His largest fish of the day was a 29-incher. Striped bass of that length usually weigh between 11 and 13 pounds. A friend of his fished Lake Cumberland last Sunday and caught an 18-pound and a 22-pound striped bass. This is good news considering how the year started. Lake Cumberland reached record pool level of elevation 756.2 feet on Feb. 26. Normal winter pool for Lake Cumberland is 705 feet while summer pool is 725 feet. Lake Cumberland’s level is currently about 722 feet. “When they started pulling less water through Wolf Creek Dam about two weeks ago, the stripers started gorging,” Bardroff said. He’s been catching fish in the major creek arms from the Wolf Creek arm of the lake to the dam. Bardroff, who also is an administrative specialist for the Kentucky Department of Fish and Wildlife Resources, trolls shad or alewives under planer boards. He catches bait from the lake using a cast net, but commercially-bought large shiners also work for these fish. “The stripers are shallow right now, from 15 feet deep up to the surface,” he said. He prefers to stagger the depth of his lines until he finds the depth the stripers prefer. Bardroff also puts out two lines off the back suspending bait under large, striper-sized bobbers. He uses 20-pound test monofilament for the main line with 15-pound fluorocarbon for the leader. He ties a 2/0 circle hook on the business end. This set up works well for bottom fishing for those who don’t have the equipment to troll. Start at the midway point of a major creek arm and beach the boat near a point. Put out a few lines rigged with shad, alewives or shiners at different depths. Give the spot one-half hour and move. Eventually you’ll find stripers. April through late May is also the time of year for anglers who want thrilling sport, as stripers rip through spawning schools of threadfin shad and alewives at night. “They are catching them at night right now on Rapala Slivers,” Bardroff said. The Sliver runs from 9- to 11-feet deep and anglers slice points in the major creek arms and the main lake at night with these lures. The best colors are the venerable red and white or silver. As the water warms a touch, lures such as a Redfin or Jointed Thunderstick draw vicious strikes. These are floating/diving style lures, but gently rock back and forth on the lake’s surface when retrieved slowly. Hold on tightly to your rod and keep your mind on business when night fishing for striped bass. They hit these lures with a savagery rarely found in nature and can pull the rod from your hands. Carrier’s favorite lure is the Jointed Thunderstick in chrome with a blue back and a green tiger color they no longer make. “I’ve caught so many stripers at night on that lure that it no longer has much paint on it,” he said. Medium-heavy to heavy baitcasting gear and lines of at least 17-pound test are recommended for Slivers, Redfins and Thundersticks. Light inshore saltwater medium-heavy spinning gear also works for night stripers, but throwing large lures on spinning tackle is taxing to the hands and wrists after a few hours. Avoid setting the hook until you feel the weight of the fish. These lures attract huge walleye at night as well and they must take the lure a bit before you can land them. Spring has sprung, and it is time to fish for striped bass at Lake Cumberland. Morehead State University announces the Space Science Center’s small satellite technologies and space mission operations have been nominated for Via Satellite’s 2018 Satellite Technology of the Year Award. The nominees are chosen based on innovation, benefit to the industry, and overall disruption to the satellite landscape. The Space Science Center at MSU has played a role in establishing aerospace as the number one industry in Kentucky through workforce development and through its contributions to research and development (R&D) in small satellite technologies. The center specializes in micro and nanosatellites and has evolved into an internationally-recognized center for research in these “smallsat” technologies. Smallsats are considered “disruptive technology” by the aerospace industry because they can provide some of the same services as conventional satellites at a fraction of the cost and with short development times. Morehead State is at the forefront of this emerging technology. MSU faculty and students have built and launched seven satellites to Earth orbit since 2006 (KySat-2, CXBN, Eagle-1, Eagle-2, UniSat-5, and CXBN-2) with a major mission currently under development (Lunar IceCube). These missions have ranged from technology demonstrations to astrophysics research and have been very successful, gaining international attention. The technology developed here (smallsat vehicle technology including all associated subsystems- flight computers, attitude control systems, power systems and communication systems) has attracted aerospace and telecommunications companies to spin off subsidiaries in Eastern Kentucky and has also inspired small aerospace start-ups to locate in those regions. Additionally, the Space Science Center manages a 21-meter ground station that has been funded by NASA’s Advanced Exploration Systems to become the first non-NASA affiliated node on the NASA Deep Space Network dedicated to providing ground operation services for interplanetary smallsat missions. Deep Space Station-17 (DSS-17) serves as a test-bed for future NASA mission operations technologies including Delay Tolerant Networking and Opportunistic Multiple Spacecraft per Aperture. Students are intimately involved in the development of the smallsat systems and in the operation of DSS-17. The winner of the 2018 Satellite Technology of the Year will be determined by a combination of the Via Satellite editorial team, including Editorial Director Mark Holmes and votes that come directly from industry. The public can vote for MSU Space Science Center’s small satellite technologies and space mission operations online, or onsite at the SATELLITE 2019 event, which takes place May 6-9 at the Walter E. Washington Convention Center in Washington, D.C. There will be stations for attendees to vote at the Via Satellite booth (#543 on the show floor). From the host of the prestigious “Satellite Executive of the Year Award,” Via Satellite has a longstanding history of recognizing the people leading the charge for the satellite industry. Voting closes at noon EDT, Tuesday, May 7. The winner will be announced at a special awards luncheon, sponsored by Peraton, at SATELLITE 2019, Wednesday, May 8, at noon. Tickets for the luncheon may be purchased through SATELLITE 2019 registration. SATELLITE 2019 will take place at the Walter E. Washington Convention Center, located at 801 Mt Vernon Pl NW, Washington, D.C. 20001. For more information on the award, or to vote for MSU’s Space Science Center’s small satellite technologies and space mission operations, visit https://www.viasatellite.com/vote. Additional information about MSU’s Space Science Center is available at www.moreheadstate.edu/ssc or by calling 606-783-2381. Via Satellite, a monthly publication providing essential news and expert business analysis on the global satellite communications marketplace, including current and evolving applications, infrastructure issues, technology, and business and regulatory developments around the word reaches the most engaged community of satellite professionals and qualified industry decision makers. SATELLITE unites 15,000 aerospace and connectivity thought leaders, entrepreneurs, executives, engineers, end-users and enthusiasts from over 100 countries for the largest and most important global satellite technology event of the year. Serving all industries looking to better their business operations or enhance their strategy through connectivity, the SATELLITE Conference and Exhibition will take place on May 6-9, 2019 at the Walter E. Washington Convention Center in Washington, D.C.
Morehead State University’s Student Government Association (SGA) is partnering with Aramark to help diminish food insecurity among students. Designed and negotiated by Aramark Director Luke Holbrook and SGA President Brandon Bryer, this partnership will provide 75 free meal vouchers to students in need and students who have run out of meals on their meal plan. Students will be able to pick up the vouchers beginning April 5 in the SGA office and at all SGA programs. 15 of the meal vouchers will be placed in the student resource program, Eagle Essentials, so that students with immediate nutritional and food needs will be able to take advantage of this partnership. Eagle Essentials (215 ADUC) is an outlet for students enduring financial hardships to get the necessities they need for free. Each voucher provides students access to 5 meals. Vouchers can be redeemed at The Rocky Adkins Dining Commons. For more information about Eagle Essentials, visit www.moreheadstate.edu/need. For additional information about SGA, visit www.moreheadstate.edu/sga or call 606-783-2071. For more information about MSU Dining, visit https://morehead.campusdish.com/en. Ashland Community and Technical College is hosting the annual Arbor Day Seedling Giveaway on its main campus on April 27. The event will be in the front parking lot of the College Drive Campus from 9 a.m.-noon or until all seedlings are gone. ACTC is partnering with Kentucky Power and the city of Ashland to giveaway the free seedlings. The trees will be pre-packaging this year, with one of each variety in each bundle. The varieties are black walnut, cypress, northern red oak, pecan, eastern redbud, persimmon, silky dogwood, grey dogwood, chestnut oak, and roughleaf dogwood. Additionally, limited supplies of eastern redbud, hazelnut, grey dogwood and silky dogwood will be available from Kentucky Power. These low growth trees are great for landscaping and will not grow so tall that they interfere with overhead utility wires or structures. The Boyd County Master Gardeners and the Northeast Kentucky Beekeepers will also be on hand to provide information and education on landscaping, gardening, beekeeping and pollinator gardens. ACTC students and employees will assist in the distribution as a service learning project. While this event is in celebration of National Arbor Day, ACTC is also celebrating its fourth annual Tree Campus USA recognition. Part of how ACTC’s earn that recognition is by service learning projects like the tree giveaway. Other ways the college meets Tree Campus requirements are maintaining a tree advisory committee, a campus tree-care plan and dedicated annual expenditures for a campus tree program. Students need to learn some basic facts about interest rates so they can make good choices when it comes to borrowing and investing, according to the Kentucky Higher Education Assistance Authority (KHEAA). One interest rate is simple, or nominal, interest. It’s straightforward. If you borrow $1,000 at 5 percent simple interest per year, you’ll pay back $1,050. If you deposit $10,000 in your savings account at 3 percent interest per year, you’ll have $10,300 in your account at the end of the year. After that, though, it can get more complicated. Let’s say you take out a $100,000 mortgage at 5 percent. However, you have to pay $5,000 in closing costs, which are added to the amount of the mortgage. That means you’ll be paying interest on $105,000. Your total interest costs are $5,250. That means you’re paying an annual percentage rate (APR) of 5.25 percent. Lenders are required to disclose the APR on any loans you take out. On the savings side, let’s say you invest $10,000 at a 3 percent compound interest rate. With compound interest, you earn interest on the interest you’ve already earned. At the end of the year, you’ll have $10,304.16 in your savings account. KHEAA is the state agency that administers Kentucky’s grant and scholarship programs, including the Kentucky Educational Excellence Scholarship (KEES). The agency also provides financial literacy videos at http://itsmoney.kheaa.com and free copies of “It’s Money, Baby,” a guide to financial literacy, to Kentucky schools and residents upon request at publications@kheaa.com. KHEAA’s sister agency, the Kentucky Higher Education Student Loan Corporation (KHESLC), offers low-cost Advantage Loans to help students and parents pay for college or to refinance student loans. For more information about Advantage Loans, visit www.advantageeducationloan.com.